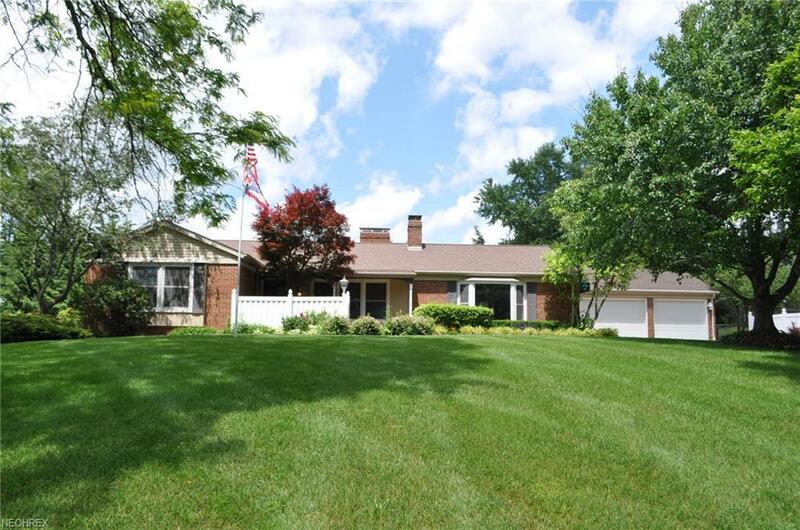 Spacious north end ranch home! This home is larger than it looks! Big family room and living room with pass through fireplace. Three spacious bedrooms. Master bedroom has master bath and walk out to year round use sun room. Sun room is huge with beautiful window/screened and skylights and walk out to brick patio and privacy fenced back yard. Kitchen has brick fireplace and loads of cabinet pace. Three car attached garage. Newer roof, windows, hvac and freshly painted interior. So much more.